Management Guru. Co-author of In Search of Excellence--the book that changed the way the world does business, and often tagged as the best business book ever. ​Recently called “the Red Bull of management thinkers” by Inc. Magazine, Tom Peters is co-author of In Search of Excellence—the book that changed the way the world does business and often tagged as the best business book ever. Sixteen books and nearly thirty years later, he’s still at the forefront of the “management guru industry” he single-handedly invented. What’s new? A lot. As CNN said, “While most business gurus milk the same mantra for all its worth, the one-man brand called Tom Peters is still re-inventing himself.” His most recent effort, released in March 2010: The Little BIG Things: 163 Ways to Pursue Excellence. Tom’s bedrock belief: “Execution is strategy—it’s all about the people and the doing, not the talking and the theory.” Tom was also recently named to the Thinkers50 list of the world’s top business thinkers. More Than Just A Speech - When you engage Tom Peters for one of the presentations described below, you get more than just the talk. Following his presentation Peters will provide, at no additional cost, an executive session where your VIPs and/or top executives will meet and interact in a unique leadership chat. This informal "no-need-to-prepare" forum allows leaders to pose questions about the challenges they're facing and, with Peters as catalyst, discover new strategies for leadership and career success. The “engine” of the current economic mess is losing total touch with the basics: that is, lending money to people, by the millions in the end, who “obviously” couldn’t pay it back. In many ways, that is the whole story—at the bottom of the bottom of the bottom of the pile of derivatives of derivatives of derivatives are truly stupid loans that any fool would say should never have been made. We get in trouble when we forget the basics. We get out of trouble when we remember the basics. We stay out of trouble when we become perpetually “insane” about the basics. Peters wrote the book that spawned a management revolution because we placed too much emphasis on sophisticated “MBA thinking” and not enough emphasis on the stuff that led over a thousand people to show up for his grandfather Owen Snow’s funeral in little Wicomico Church, Virginia, over a quarter of a century ago. Grandfather Owen had run a country store and he’d been counselor, banker, and friend, as well as shopkeeper, to thousands over the years. He was a math whiz (he passed a bit of that on to me), but those thousands showed up at his funeral because he never forgot the basics of taking the time to listen and putting people first! But remember: We’re deep in doggy doo-doo because of nothing more than lending money to people who obviously (!!!) couldn’t pay it back. Surviving and Even Thriving Amidst the "Perfect Storm"
While many businesses will fail amidst the current economic crisis through no fault of their own, some will survive in spite of the odds—and a few will surprise everyone by turning a messy situation into economic-competitive advantage. Tough times are, in fact, golden opportunities to get the drop—and the long-term drop at that—on those who respond to bad news by panicky across-the-board slash and burn tactics and moves that de-motivate and alienate the workforce at exactly the wrong moment. Tough times, indeed, require tough decisions—but thriving, not just surviving, is an option for those who mix the wisdom and boldness of leadership along with transparency and maximized employee involvement and engagement. Without suggesting that there is anything humorous about the pain that bad times cause, one couldsay that “this is when it gets fun” for truly talented and imaginative leaders at all levels and in businesses of every sort and size. Leadership (Or: Leading in Totally Screwed-up Times!) - Developed a couple of years ago and honed ever since, Tom Peters calls it The Leadership50 -- Fifty strategies and tactics for vigorous leadership in times of uncertainty. Reinvention (Or: Twenty-seven Practical Ideas that will Transform Every Organization) - A concise, yet insightful and entertaining guide to the things you should be doing to make lemonade out of lemons. A New World Order for Enterprise. Or: Re-imagine Everything! - This is to an extent re-statement. Tom Peters’ abiding theme-passion is energizing execs, in the public and private sectors, to attempt the bold leaps which he insists are survival requisites today. “I hope the view and approach I present is encompassing and original,” Peters says. "I know it is necessary." New Markets: Two Trends Worth Trillion$$$ - There can be too much micro-slicing and dicing of markets, according to Tom Peters. In the process we often overlook huge opportunities. Peters has identified what he labels “the two most glaring deficits in the markets/marketing portfolio.” They are the need to pay far more attention to women as purchasers of consumer and commercial goods and services; and leaping on the boomer-geezer express. Getting Things Done - Tom Peters declares that we spend too much time planning, not enough time-thought on execution. Implementation can be addressed as a stand-alone topic or part of any of the above effective strategies and tactics for getting things done. Peter’s unconventional approach to project management is a mainstay of this presentation. 2007 marked the 25th anniversary of the publication of one of the most influential business books ever written: Tom Peters and Bob Waterman’s In Search of Excellence. Upon publication, the book immediately ushered in a management revolution, forever changing the way entrepreneurs and leaders viewed their relationships with their employees and customers. In the book, the authors reemphasized what Tom calls the “obvious ideas”: the paramount importance of an abiding orientation toward action over talk, matchless customer intimacy, a wholehearted devotion to acquiring and developing the best talent, entrepreneurship spurred internally, the ever-difficult task of “keeping it simple,” and leadership as “a product of passion, passion, passion.” These ideas are now considered “standard operating procedure” in businesses around the world—though often implementation does not live up to the standards practiced by the world’s best. This presentation promises to inspire audiences of any type, anywhere. Peters’ own passion and intensity, audiences around the world report, has only grown with the passage of time. 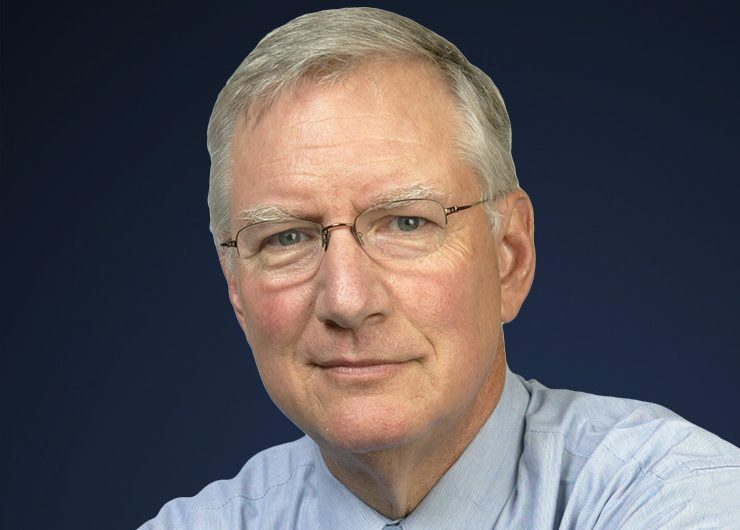 For decades Tom Peters has been preaching the gospel of putting people first, and in today's rapidly changing business environment, this message is more important than ever. With his unparalleled expertise and inimitable charisma, Peters offers brilliantly simple, actionable guidelines for success that any business leader can immediately implement. The audience will leave with a roadmap for any organization and for individuals to thrive amidst the tech tsunami.